Lately I've been working on some new additions to the collection. This ring is an open style with two rocky details at both ends. The rocks are pieces of Valentia slate from the quarry in South West Kerry and cast in solid silver so they are a little lasting momento of the Irish coast that can be worn everyday. 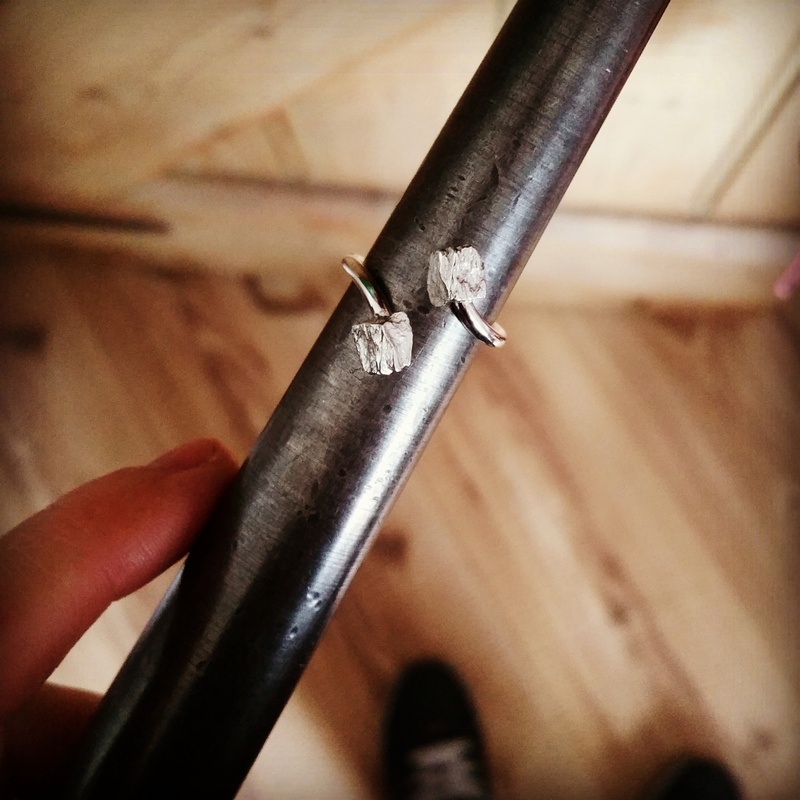 I started out by making a plain band with 2mm silver wire, soldering it and then rounding it on a ring mandrel (which you can see in the photo below). With a piercing saw I then cut open the ring and formed it with pliers to curve each end in the opposite direction. After some filling and shaping it was time to solder on the the solid silver rocks. To finish : a shiny high polish on the band with a contrasting polished/matte finish on the rocks to highlight their texture/layers. It will soon be available to buy on the website in small, medium and large.